The Pentagon Memorial is designed so that the nation may remember and reflect on the events that occurred on September 11, 2001. The Memorial will be free and open to the public seven days a week. Groups and individuals are welcome in the Memorial each day but guided tours are not offered; the Memorial is meant to be experienced on a more personal level. The Pentagon Memorial: Located on the west side of the Pentagon. Photography is strictly prohibited everywhere on the Pentagon Reservation except for inside the Memorial. 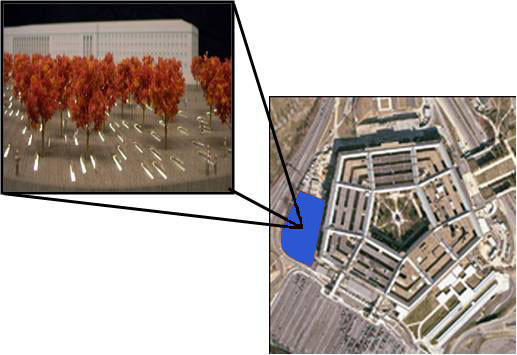 All other activities that are prohibited on the Pentagon Reservation are also prohibited in the Pentagon Memorial Park.